T.R.A.L. FAQ page is here to answer all queries that are of particular interest for our prospective students. Please feel free to contact us if you have any other questions that you may need help with. We are always here to help and hope we are able to provide all relevant information if necessary. IS MY CHILD SAFE AND TAUGHT BY THE CORRECT FACULTY? The Rose Arts London regard safeguarding as an important policy within the company. We hold the highest standards of child protection and we have all the relevant policies in place that are available on request. All of our teaching faculty, creative team and volunteers hold an up-to-date enhanced DBS certificates (CRB). Our teachers are all accustomed with our Child Protection Policy and Procedures. All Rose Tutors are all professional performers who have direct experience and extensive knowledge of Stage, Dance, Drama, TV, Film and Musical Theatre. 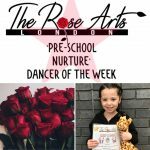 The Rose Arts London Rose Tutors have all been through our recruitment process, and all have DBS certificates. 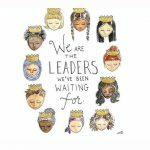 HOW WILL YOUR CLASSES BENEFIT MY CHILD? ARE YOU AN AFTER SCHOOL CLUB? Alongside Birthday Parties, we also offer Adult Birthday Parties, Hen/Stag Nights and Wedding Couple/Bridal Party Dances. CAN ANYONE JOIN THE ROSE ARTS LONDON SCHOOL OF DANCE AND DRAMA? The Rose Arts London is a platform for the aspiring to the elite perfomer catering for ages 6months to adults. Our classes are based on a continual basis and develop all performers to grow within their sessions. CAN WE PARTICIPATE IN A TRIAL CLASS BEFORE COMMITTING TO THE SCHOOL? Yes. To participate in all trial classes there is a fee. For all potential students with siblings and/or interested in a second class, we offer a ‘Buy One Get One Free’ deal to accommodate. Please note: Trial fees are not deducted from the monthly or termly fee’s. ON ACCEPTANCE TO THE ROSE ARTS LONDON IS THERE A REGISTRATION FEE? The Rose Arts London do not ask our student for a registration fee. HOW MUCH IS THE SIBLING DISCOUNT? Sibling Discount has a 10% deduction from the second/third siblings total fee. ARE ALL ROSE STUDENTS GIVEN THE OPPORTUNITY TO PERFORM, PRESENT, PARTICIPATE IN SHOWS? Yes, our focus is to assure all our students gain experience through public and in-house performances, presentations, professional productions, local and community events and competitions to participate in. The Rose Arts London follow the growth of The Rose. 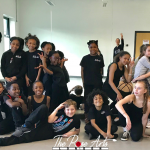 The Rose Adults is a class, which offers access to a variety of dance, song and performance training, for those who want to have fun and fitness or to those who work or want to train within this profession. The Rose Arts London are full members of the examination board: Associate Board of Dance and provide the opportunity for our Ballet, Lyrical Contemporary Students, Musical Theatre and Acrobatics for our nurture students too. Exam entrance fees are additional to the class fees. DO WE RECEIVE UPDATES WITH OUR CHILD'S DEVELOPMENT AND PROGRESSION? We aim to give regular reports and feedback to Rose Parents about our student’s progress usually at the end of the Spring Term. In addition, we have a presentation at the end of the Summer term for our students to receive a certificate of achievement, applauses and appreciation for their hard work. WHAT HAPPENS IF A CLASS IS MISSED? We are not oblivious and sympathise that things may come up, however there are no refunds if classes are missed. However, if we have an alternative same level class a student can participate in it. DOES ATTENDANCE MATTER IN YOUR JUNIOR SCHOOL? We have the 80% attendance rule. If your child misses more than 20% of classes per term, we will approach the Parents and discuss their place in the school. DO THE ROSE ARTS LONDON HAVE A UNIFORM? Yes. The Rose Arts London uniform is the pillar of our school and sets the tone for our students being a positive representation of the school. The correct dance attire enables the teacher to see the dances positions and movement, in order to give necessary correction for the benefit of the dancers development. Fitted dance wear enables our rose tutors to see the students alignment and placement. WHERE CAN I PURCHASE UNIFORM FROM? Uniform is available from our ‘SHOP’ page. The Rose Arts London hold limited stock on site.